1) Please tell us a little bit about yourself, Brian Cronin. I've been writing about comic books for over a decade now. I started the blog, Comics Should Be Good, in 2004 with a few friends, and in 2006, Comic Book Resources picked it up as the official CBR blog. When CBR was revamped in 2016, CSBG was merged into the greater site, but I'm still keeping CSBG up as its own part of the greater CBR website with brand-new articles about comic books and comic book history pretty much every day of the week! 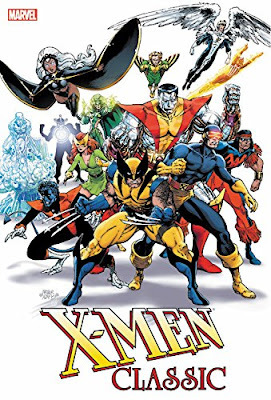 2) What inspired you to create, ‘100 Things X-Men Fans Should Know & Do Before They Die’? The X-Men have long held a fascinating place in popular culture. They were once an "also ran" Marvel series that was quickly dropped by its creators and it was then canceled after being around for less than a decade. Then, after being gone for five years, it made a triumphant return as the "little book that could", and slowly but surely became Marvel's most popular comic book series by a wide margin. In recent years, most likely due to issues related to film rights to the X-Men franchise, it has become less of a major part of Marvel's identity, and as such, that roller coaster ride is a really interesting one to follow which I think I tackle pretty well in the book, '100 Things That X-Men Fans Should Know and Do Before They Die'. 3) After writing this book, what do you find is the most surprising fact featured in it? I had always known that the X-Men's series was effectively canceled in 1970 when it went to reprints-only for five years, but what I just learned recently is that it was OUTRIGHT canceled in 1970 and was only brought back as a reprint-only series a few months after being outright canceled. Imagine how that would have changed things if it never stuck around as a reprint series? Would it be considered relevant enough to even be given another chance as a series? 4) What song would you say best represents this piece and why? My friend Albert told me that I should select the way-too-catchy theme song to the X-Men Animated Series. However, I think I'll go with Bob Dylan's "The Times They Are a-Changin'," as that certainly captures the spirit of the X-Men. Change has been the only consistent thing about the X-Men. 5) If you could get a celebrity – either living or dead – to promote your wares, who would you choose, and why would you want to choose this particular person? 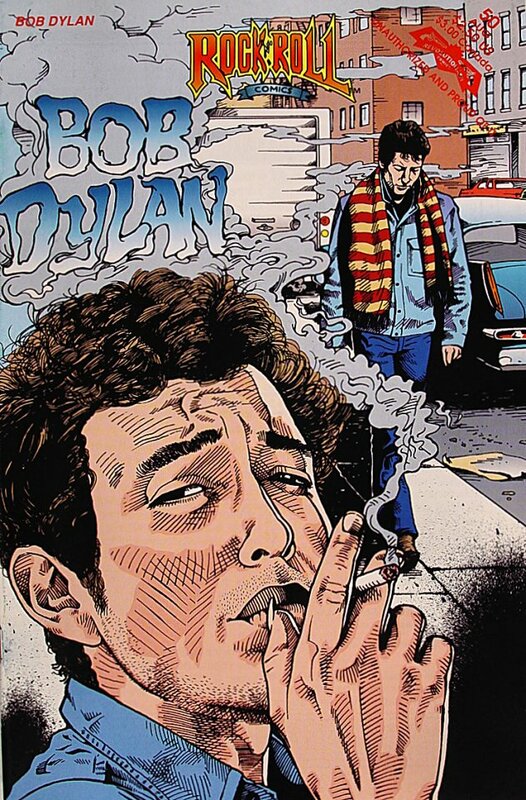 Speaking of Bob Dylan, as a big Dylan fan, nearly all of my columns have been named after Dylan lyrics (Abandoned an' Forsaked, The Line it is Drawn, Foggy Ruins of Time, and many more), so I guess I would have to go with Dylan. It would be hilarious to see him talk about comic books. Although, actually, he clearly is friends with a comic book buff, because Dylan's old radio series, Theme Time Radio Hour, had a poster drawn by Jaime Hernandez and there were frequent comic book in-jokes in the show (again, though, it was surely someone that worked with Dylan and not the man himself). 6) During your time in this field, what is the one thing that has kept you in good stead? Probably the thing that keeps most writers continually working: Writing things that people are interested in reading. I typically like to write about things that interest me and I hope that if they interest me, then others will get a kick out of them, as well, and so far it has worked out okay. 7) If you had a personal motto, what would it be? Since we're talking about the X-Men, longtime X-Men writer, Scott Lobdell, once came up with quotes for the various students in the X-Men series, Generation X, and I always found one of the quotes he attributed to the student quite catchy: "Life is too serious to be taken seriously." 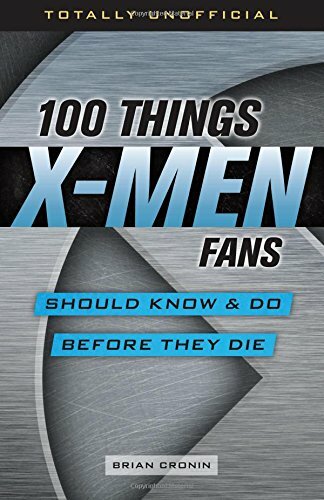 And on that note, I'd like to thank Brian for telling us about his new book, '100 Things X-Men Fans Should Know & Do Before They Die', before encouraging you to pick up a copy via Amazon or the official Triumph Books website. And while you are at it, please feel free to follow Brian on twitter, facebook, and his website, legendsrevealed.com.